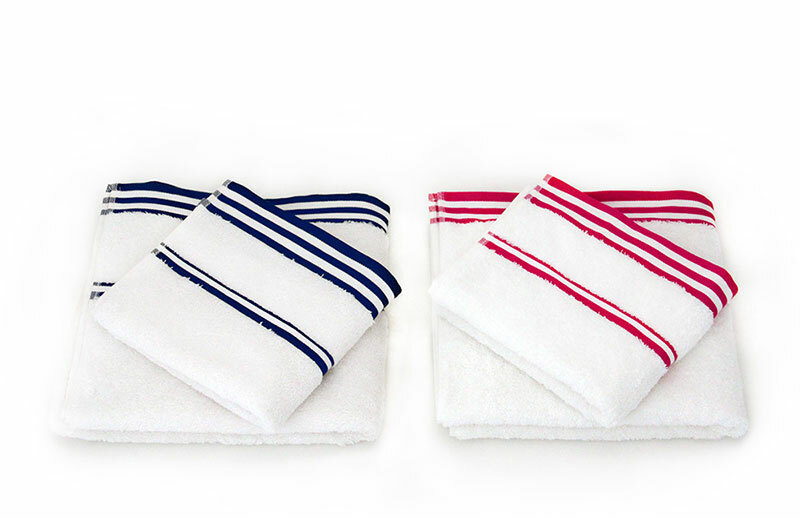 These are our unique and exclusive gift towels. With the addition of our Football logo, these will make an ideal gift for any aspiring Footballer hard in training, or simply for a big football fan. 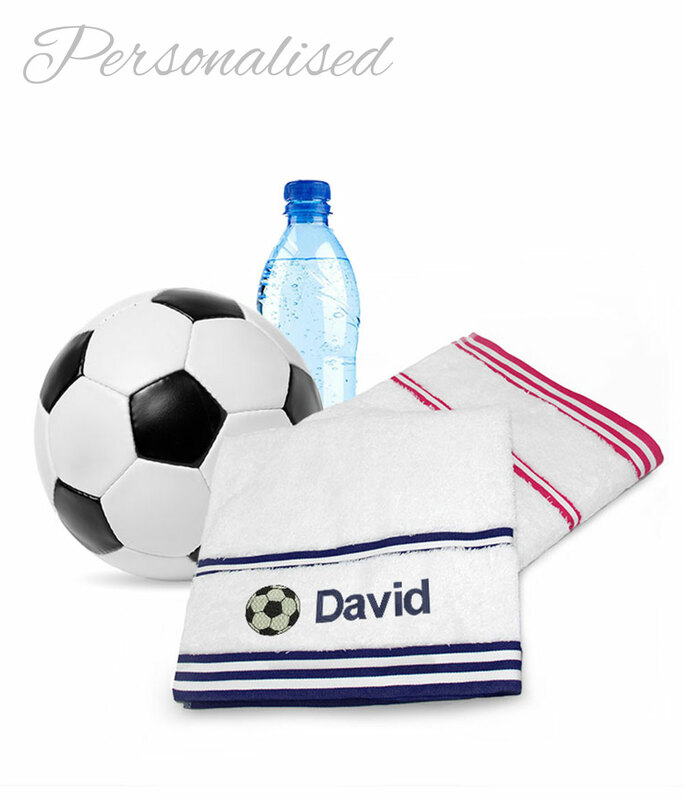 Personalisation will be embroidered in fine thread on the bottom edge of the towel, between the double stripe pattern. You can choose any name, nickname or date, alongside the football logo. 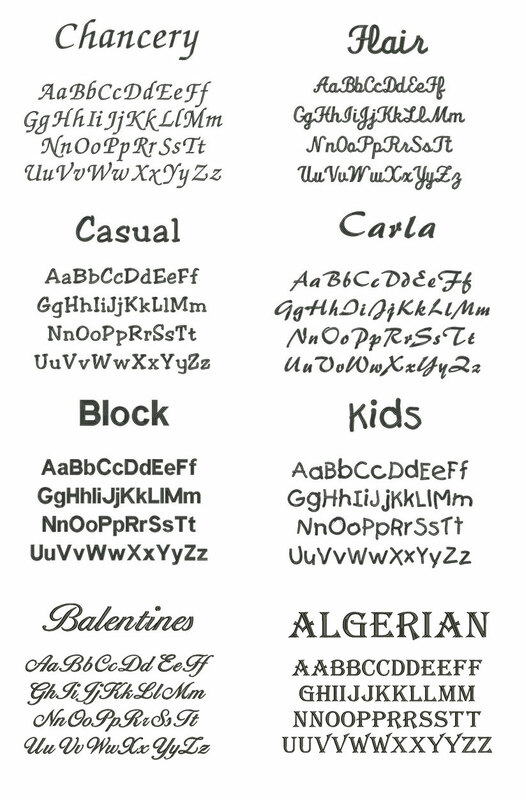 Also pick fonts; customisation is fully in your hands.